When it comes to the best graphics cards, Nvidia’s varied selection of awesome graphics cards is unrivaled. From the wickedly powerful GeForce RTX 2080 Ti to the entry-level GTX 1050 – and everything in between. Nvidia remains the crowned ruler of the graphics world. But, because there’s always a demand for new graphics technology and faster hardware, particularly among creators and data scientists, the best graphics card is never enough. This is why Nvidia Volta was created – the next generation architecture for creatives and professionals. There have already been some Nvidia Volta cards out there, but you should consider that these aren’t for gamers – these high-end GPUs are aimed at professionals, and they have price tags to match. That’s not to say that Nvidia Volta isn’t exciting – it definitely is – especially when its developments in AI-powered Tensor cores has trickled down to Nvidia TuringGeForce graphics cards like the GeForce RTX 2080 Ti and RTX 2080. We already mentioned that Nvidia Volta is available now, but not in any from that you’ll slip into your gaming PC. 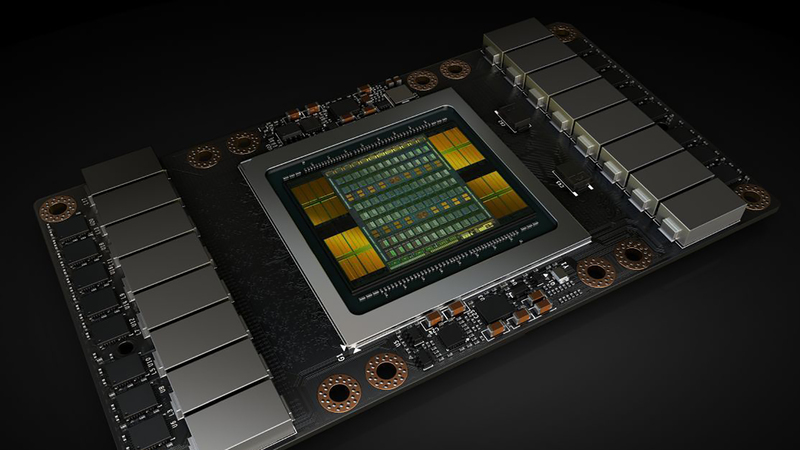 The Nvidia Tesla V100 hit the streets in May 2017, as a pro-level GPU built to empower AI workloads and run data centers. It’s not a consumer-level device by any stretch of the imagination. On the other hand, the Nvidia Titan V – released in December 2017 – is considered a consumer device, but you might scoff at the $2,999 (about £2149, AU$3800) price point. The Titan V is targeted towards researchers and other high-performance computing needs rather than making PlayerUnknown&apos;s Battlegrounds look pretty. Because Nvidia Volta cards are aimed entirely at professionals and creatives, you shouldn’t expect them to be affordable for a gaming build. Both the Volta-powered Titan V and Tesla V100 are ludicrously expensive. 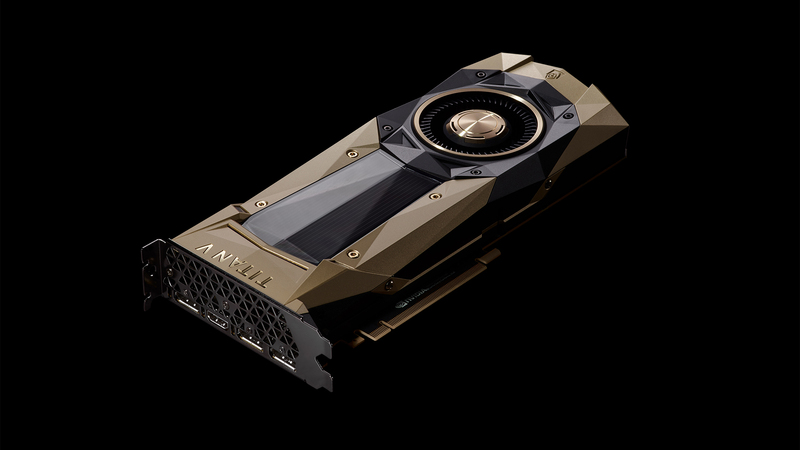 The Titan V comes in at a cool $2,999 (£2,800, AU$4,699), where the Tesla V100 will cost you about $8,799 (£8,819, about AU$12,378) – definitely not cards you want to use to run Battlefield V.
As for consumer-grade cards, we don’t think Volta will ever actually create one. Instead, Nvidia Turing was created with real-time ray-tracing tech that’s priced at a level that gamers should find palatable. Volta introduces a new 12-nanometer manufacturing process, which marks a significant step up from the 16nm process seen with the Pascal GPUs. Well, it means that Nvidia&apos;s manufacturing partner TSMC can jam a whole lot more transistors into a comparable amount of space, thus yielding a massive surge in computing ability. You&apos;ll get better performance, not to mention significant power savings. The Titan V packs in 21.1 billion transistors, which collectively provide a stunning 110 teraflops of computing power. New tensor cores are designed to speed up deep learning ability, with nine times more peak computing teraflops over the previous Titan Xp card. And it&apos;s twice as energy-efficient too. Additionally, the Titan V has six graphics processing clusters with 5,120 CUDA cores (up from 3,840 in the Titan Xp) and 320 texture units, and a base clock of 1200MHz that can boost up to 1455MHz. With 12GB HBM2 memory onboard, the Titan V boasts a memory bandwidth of 652.8GB/sec. The last bit on the specs side is surprising from Nvidia, whom just the last year championed the enhanced speed of GDDR5X memory on its high-end GPUs. 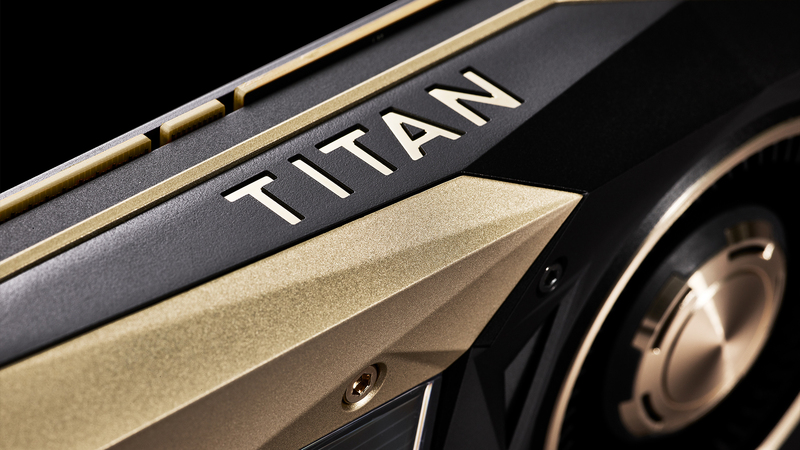 The Nvidia Titan V is the first mainline card to feature high-bandwidth memory outside of the company’s Quadro and Tesla parts. Whether this means HBM2 will be a mainstay of Volta remains to be seen. All told, it&apos;s a potentially enormous upgrade over the last generation of Nvidia cards. But let&apos;s step back for a moment, because comparing a $2,999 gpu to its $1,200 predecessor doesn’t make much sense – and there isn’t going to be any Volta-powered gaming graphics cards, anyway. Based on these initial pro-level renditions, Volta seems capable of so much more than the previous Pascal-powered GPUs – and even if those are powerful enough right now, Volta appears poised to take AI and professional workloads to previously unseen levels. Either way, keep this page bookmarked, as we’ll update it as new details, leaks or cards pop up on our radar.